Softened Taffeta floor length dress with softened taffeta criss cross sash accenting the empire waist. Invisible zipper and sash ties in back. Softened Taffeta floor length dress with softened taffeta criss cross sash accenting the empire waist. Invisible zipper and sash ties in back. 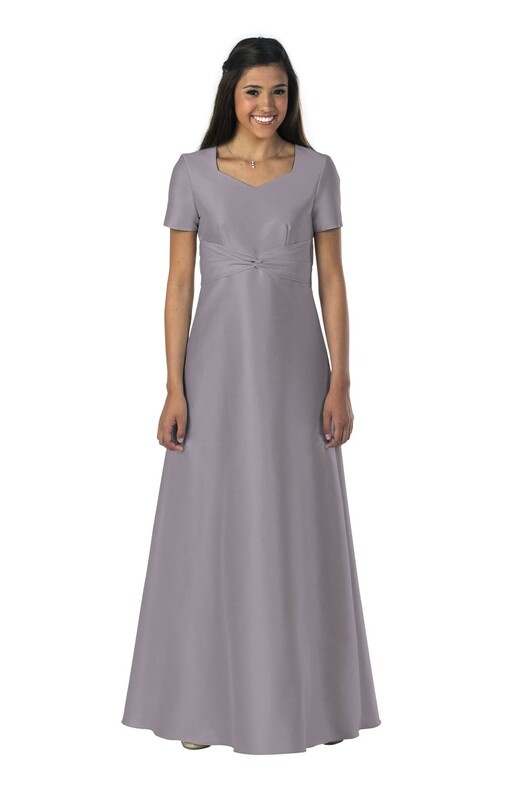 Shown with softened "V" neckline and cap sleeves.